THE Greens have criticised the State Government over its lack of planning and preparedness for a spike in clean energy as locals look to reduce power bills. WA Solar Postcodes, a report produced by Australian Greens deputy leader Scott Ludlam, showed households in the Canning Vale/Willetton postcodes were among the top 20 Australian solar installers. Canning Vale/Willetton ranked 12th and Cockburn 19th. The report, which is based on figures from the Clean Energy Regulator, showed 180,000 WA households had solar photovoltaic (PV) power. Senator Ludlam said households were so far ahead of the WA Government that it had become a problem. “The report has busted the myth that solar energy is the preserve of wealthy householders, with low-income postcodes and small Wheatbelt towns leading the charge,” he said. Canning Vale-based Regen Power has noticed a substantial increase in demand for solar in the commercial and residential sectors. 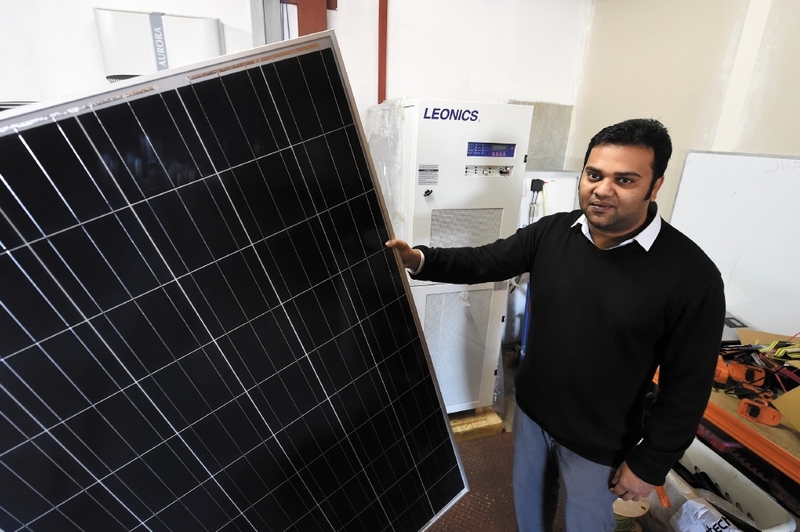 Regen Power business development manager Nikhil Jayaraj said solar systems were 80 per cent cheaper than five years ago. “Current government incentives and lower product price makes solar affordable to all,” he said. In the future, Mr Jayaraj believes rooftop solar will be part of every house. “If the price of battery storage comes down, many houses will go for rooftop solar with battery storage and automatic energy management features, which will happen in near future,” he said. Energy Minister Mike Nahan said no political party had done more to develop renewable energy in WA than the Liberal-|National Government. He said the government had funded the Residential Feed-in Tariff Scheme and the Renewable Energy Buyback Scheme, which drove the proliferation of rooftop solar installations across the state. He also said that since 2008, Synergy had delivered significant large-scale renewable energy projects, including the Colgar Wind Farm in Merredin and Greenough River Solar Farm and Mumbida Wind Farm, both located south-east of Geraldton.